Vapor Power understands the industry’s demands for rugged, dependable equipment designs in these often remote locations. Hydraulic fracturing, or fracking, is a growing technique of extracting gas and oil. Our products support down-hole and auxiliary operations for hydraulic fracturing and horizontal drilling operations. Our thermal fluid heaters are available in sizes up to 20,000,000 BTU/HR and can be completely skid packaged with the thermal fluid pump and expansion tank. 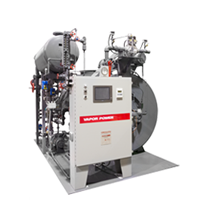 We have customized designs that fit into a container complete with thermal fluid – to – hot water heat exchanger in a compact, mobile system that can be moved from site to site. Our 18,000,000 BTU/HR heater has outperformed other heating systems with twice the BTU rating, offering significant fuel savings for the end user. 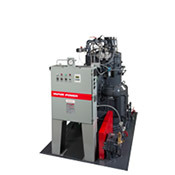 Our Modulatic steam generator has been utilized in oil well applications for over 60 years. Commonly 18 BHP, 40 BHP, or 65 BHP, these compact steam generators are often mounted on the back of truck bodies with a fuel and water tank. 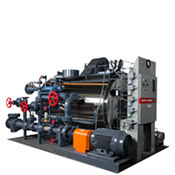 Diesel oil fired units can be provided with all mechanical controls for mobile applications where steam is used to melt paraffin wax in the oil well. 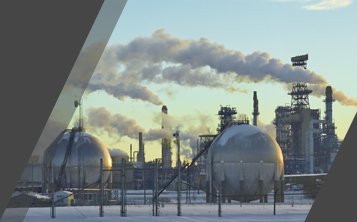 For larger steam applications, a Circulatic steam generator can provide up to 20,700 lb/hr in a single unit with design pressures up to 530 psig.